Kingston's support really is worldwide. Click on the map to see the countries where more than 4,000 supporters are based. Kcell JSC, in partnership with Taiburyl Public Associations, have sponsored two bright, young individuals from Kazakhstan to study at Kingston University. The two students were chosen as part of a cooperative project, which gave undergraduate students from low-income families, or those who remained without care of one or both parents, the opportunity to study a master's degree at Kingston University. The successful students, Darkhan Ashimov (Networking and Data Communications MSc) and Adilkhan Kussainov (Information Systems MSc), were awarded educational grants that cover their course fees and accommodation, as well as overhead expenses including food, travel, books, visas and medical insurance. Kingston University was chosen after an independent review of six leading European universities concluded it was an excellent choice for Kcell's sponsorship programme. 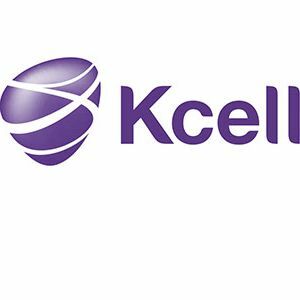 Kcell JSC is a member of the Telia Company, the largest Scandinavian telecommunication holding. One of the missions of the company is to support young talented Kazakhstani individuals through education. "Education and knowledge are the most valuable investment in the modern world for everybody. In order to succeed – you need to constantly learn, it has already become an axiom." Natalya Eskova, Head of Communications, Kcell JSC. Kcell JSC was introduced to Kingston University through alumnus William Aylward (Engineering BSc, 1978), a member of the company's Board of Directors. Kcell JSC chose to collaborate with Kingston based on its excellent record and shared values of giving those with talent, a fair opportunity to succeed irrespective of their backgrounds. 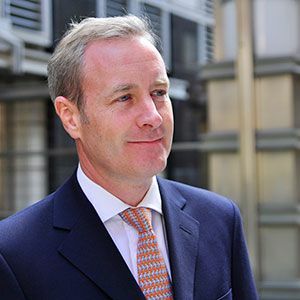 Mark is the Managing Partner of Mobeus Equity Partners LLP, a leading equity investor operating within the UK. 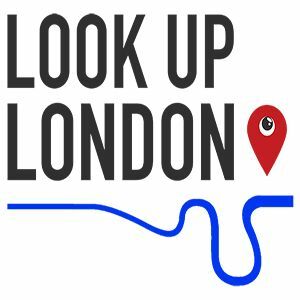 Mark, in partnership with his daughter's company Look Up London, has sponsored postgraduate scholarships since 2016. Mark is also a regular judge and mentor to our Enterprise! students. "I am immensely fond of Kingston University and all that it gave me during my time here. Kingston rekindled my passion for learning and striving for excellence. The course was absolutely fantastic and that is what it is all about - it got my education back up to a standard where I should always have been. My fondest memory of Kingston was meeting my wife here through a mutual friend who also studied on the same course as me. I lived in a shared house with three other girls and she would often visit her friend - the rest is history. Another great memory was setting up a five-a-side football team from scratch. I first became interested in giving back when a member of the Kingston University alumni team visited me. We talked about various ways in which I could help current students - mentoring, guest speaking, judging competitions and also by supporting through scholarships and bursaries. I would never have been able to realise my full potential without the bursary I received and so the opportunity to help others in the way that I was helped with financial support was a no brainer. The work Kingston does to support talented students realise their potential is truly transformational and I am very proud to be a part of Kingston University"
The Co-Masonic Benevolent Fund is the charitable arm of the British Federation of the International Order of Freemasonry for Men and Women and has a long history of supporting charities and causes focused on the relief of poverty or distress. In recent years, this remit has been expanded to include help for talented young people up to the age of 24 who are not able to fulfil their full potential because of poverty, hardship, or deprivation. While having no previous direct link to Kingston University, trustees of the Fund became aware of the KU Cares programme when a Kingston University student reached out to them for a community project. This project impressed the trustees and planted the seed that would lead to The Co-Masonic Benevolent Fund approaching Kingston University, with a desire to help young people unable to go to university because of hardship - and ultimately funding 3 care leavers support packages in 2017. 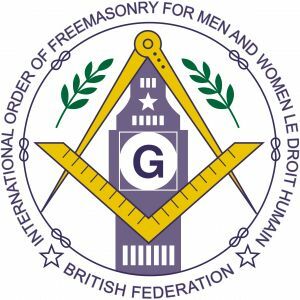 Kingston University's KU Cares programme shares the Co-Masonic Benevolent Fund's core philosophy to make the community a better place by enabling the opportunity to build better lives. It was the potential for their donation to make a significant and lasting difference to individuals, and by extension the wider community, which sealed the partnership. When asked for words of encouragement for future students, a Co-Masonic Benevolent Fund trustee said, "Working with Kingston University to find students who would really benefit from our donation means a lot to us. To those students; we encourage you to think big and take advantage of every opportunity you can. Don't be afraid to accept the help people in your community offer and use it to develop your best self." I have great memories from my time as an architecture student at Knights Park and am very proud to have been a student there. I'm extraordinarily proud to have been awarded an Honorary Doctorate too, which was a unique experience in my life. Kingston University places strong emphasis on helping students settle into uni. The 'culture shock' can be somewhat of a 'coming of age' for many students: Getting out into the world, leaving home, looking after themselves, and funding their lives and their studies. Everything I've seen happening today at Kingston University shows that they really look after their students. It's common to spend the first few days at university overwhelmed (as well as excited) but Kingston's caring atmosphere means new students don't feel quite as lost when they start. Kingston has a strong commitment to getting people from disadvantage backgrounds to uni. It is definitely something that we as a society should be doing. One thing I know from my 50 years of business experience is that not all talents are shown immediately through their education. There are some very bright people who don't get the same level of education as others, and if they only had their chance, they could realise their true potential too. My advice to new graduates, aside from enjoying your studies, working hard, and perseverance, is to always be aware of your social responsibility. If you also had a wonderful experience at Kingston, give back to future generations by opening those doors to them as they were opened for you. No matter how uncertain the future may be, there is indeed a future to look forward to, and you can be a part of shaping it. 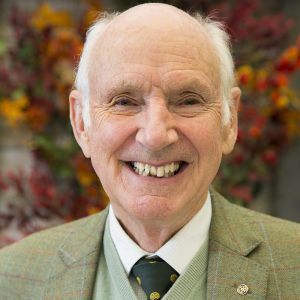 Colin Squire is Chairman of Squires Garden Centres. Some of my fondest memories from my student days include going to Kingston Hill campus every Tuesdays to attend 'Soul Surgery' at the Union bar, and lots of dancing and merriment. I am still very much in touch with friends from Kingston. I formed life-long friendships with quite a number of classmates and fellow students, one of whom is in fact one of my best friends. I have come to feel particularly strongly about tuition fees or the fact that students have to pay them via loans. I consider myself a very productive member of society and would not have been able to be this productive without my education which I otherwise would not have been able to afford but for the generosity of society (taxpayers). I graduated from university without the additional burden of student debts to pay back and I feel the generations before me made this possible. I now feel strongly that my generation should also carry some responsibility to this generation to ensure that they too can also benefit. Sadly, it seems society doesn't quite agree with me, or perhaps it's just the voting public not prioritising free University Education above all else the country needs to fix. Whatever the case, I believe that if I were a student today with the same circumstances back when I attended University, I likely wouldn't have attended. "My best memories of Kingston are Penrhyn Road, lots of Guinness, and of course how beautiful Kingston is on the banks of the Thames. 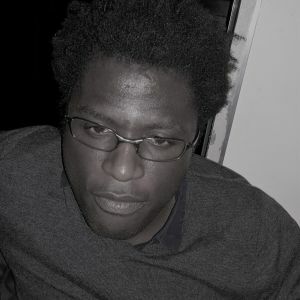 It was at Kingston University that I got an introduction to website design. Part of my final year project was to design the Department of Chemistry's website. I ended up spending more and more of my time in the computer lab! Java had just come out and I used Netscape 1.1 and the JDK (Java Development Kit) 1.0! It was whilst at Kingston that I kick started my career in technology. 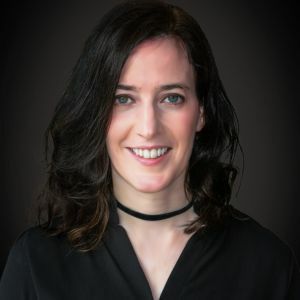 I ended up pursuing a career in tech instead of chemistry, which has led me to running my own tech business today – creating innovative content for businesses online. I'm still in touch with some of my friends from Kingston. Some have returned to Ireland, some stayed in the UK; another friend is currently in the US. The cause I feel most strongly about is the Student Hardship Fund. Students do end up in all sorts of predicaments! Being a student is a rite of passage. It can be very tough for a student who has zero family support to help themselves out, especially when you are meant to be studying and not working. The Student Hardship Fund is a great way to give students a chance financially if something unexpected crops up or happens to them." "One of my best memories from my time at Kingston is working on my dissertation at the end of the year. I was well and truly 'in the zone' by then, had my favourite desk in the library (which I would try to secure by getting there early in the morning!) and a real buzz with my fellow classmates. I'm still in touch with a few of my Kingston friends and classmates. Life is so much more hectic with family and work but I know if I called them it would be like we were in Kingston just yesterday. I was first interested in giving back to Kingston when I was called a few years ago. I couldn't think of a better way to support someone to have the experience I did and have a chance to succeed afterwards –- very rewarding. That's what motivated me to give back. I feel strongly about supporting those less fortunate than me to have a better chance at taking up opportunities in the field they chose to specialise in. And I feel strongly about staying connected to Kingston!" "What I remember most fondly about my time at Kingston was the fantastic mix of theory and practice in my degree course. 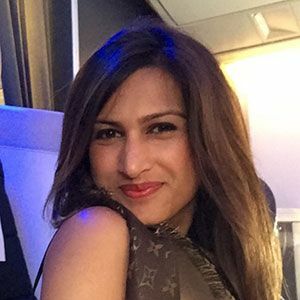 My placement year was another highlight – applying my learnings at a software company and working with prestigious clients. The sports and social life at Kingston were superb. I had great classmates and extremely good lecturers. I was delighted to catch up with seven of my classmates at the recent Last Orders event at the Kingston University bar. It had been 30 years since we first met in the bar back in 1986. I first started giving back to Kingston around 10 years ago. The environment for students is much tougher these days in terms of access and financial support. Outcomes for graduates in terms of job prospects aren't what they used to be. There's less certainty. I'm giving back because Kingston did so much for me personally, especially for my confidence and my self-development. At Deloitte I spent several years leading graduate recruitment. Supporting young people is something I feel particularly passionate about. Access to employment for those from non-traditional university backgrounds is increasingly important. At Deloitte, we know that to find the best talent, we must continue to recruit a diverse workforce." As a mature student Sally studied sports science finding the experience 'transformational'. 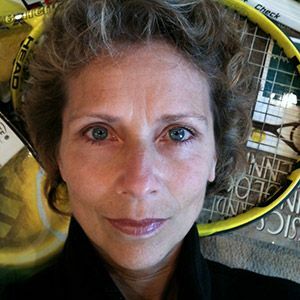 In the process she developed the idea of 'Relay Tennis' with the support of the Kingston University Enterprising Graduate Award. 'Relay Tennis' is a tennis variant – each team member playing for one point at a time – therefore potentially having a lighter physiological impact upon the bodies of young children, who, at such a young age are in serious danger of burn out. Sally's generous decision to donate to the Annual Fund was reinforced recently at our donor event, where inspiring conversations with some of our postgraduate scholars and Chancellor Bonnie Greer's speech on how students are "the future and hope of the world in the 21st century", struck a real chord. 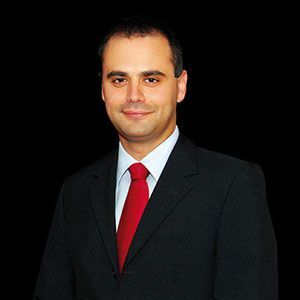 "Coming from Gibraltar, which sponsors its students, I was very fortunate to receive a grant for my studies without which I would not have been able to read a Law degree at Kingston. Even with this help, however, the costs of living abroad and near London were quite high. Without the outside help that we got, it must be even more challenging. And as my years at the University were amongst my best ever I would therefore like to help other students enjoy them just as much."